provide secure and rapid transactions for the . and help provide blockchain led solutions to Ramco’s global enterprise clients. 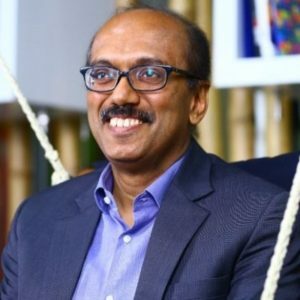 Both companies will work on the hybrid blockchain solutions out of Ramco’s innovation lab in Singapore. Backed by Singapore’s Economic Development Board and launched in 2016, this lab focuses on disruptive applications across multiple industries. The collaboration will lead to a set of distributed ledgers which can prevent users from sending tokens to incompatible networks or non-existent addresses. This is a current problem facing would-be blockchain implementers. Such an architecture should also reduce the existing congestion of blockchain networks – which are already inhibiting security, speed and scalability. Details about XDC01 are sketchy. A visit to XinFin’s web site offer the following minimalist description: “As a part of blockchain technology evolvement, XinFin plans to release its own token standard called XDC01; that will ensure users on the XDC blockchain not to accidentally send their tokens to an incompatible ERC20 based blockchain or to wrong address which doesn’t exist within network. This is one of the major issues XDC01 Protocol will be addressing. ensure transparency and security and thereby trust among counterparties. For many, blockchain is the next technological wave that will disrupt. 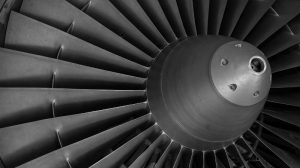 If blockchain works as Ramco and XinFin hope, a mechanic on the tarmac can use blockchain-based maintenance logs to track the entire life cycle of an aircraft engine, authenticate replacement parts or check age and air miles logged without having to check with other parties or trawl through records. Such productivity gains are applicable across other industries – once mutually accepted trust exists. By targeting aviation, logistic and HR, Ramco+XinFin are being canny: each has a high value add place in most enterprises. Ramco also has a significant presence in the MRO. It has a strong presence across asia and in North America, especially in the heli-operator market. If it brings a blockchain solution to market before the competition it could further cement its market position.